Definetely the strangest electronic game! 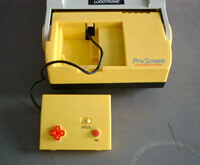 It is very big and uses cartridges. 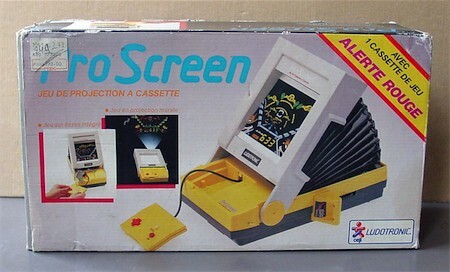 The game can be projected on the pop-up screen, but also on the wall! 3 games were released: Alerte Rouge (included), Évasion En Ballon and Formule France. They look similar to Tomy's 3-D games. 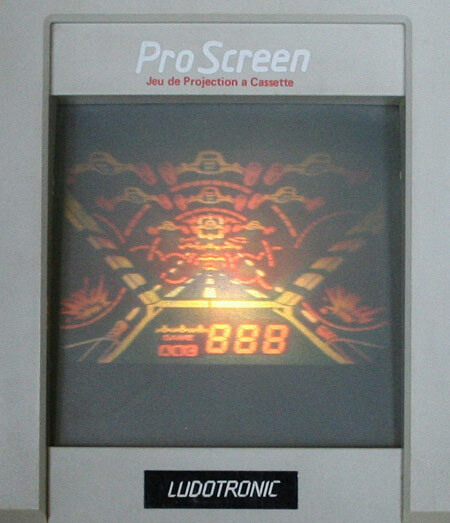 This is the french release by Ludotronic. 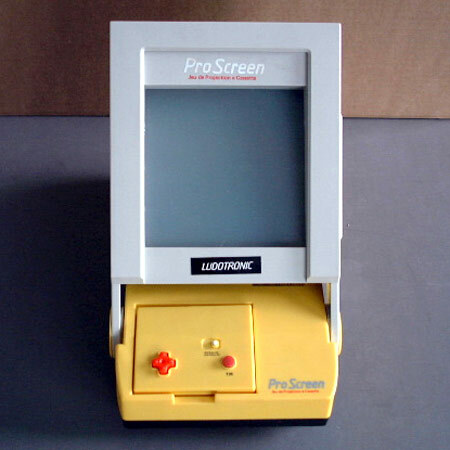 The color LCD display is built into the cart. The controls can be removed.